← We’re “Home” for Thanksgiving on WGN! 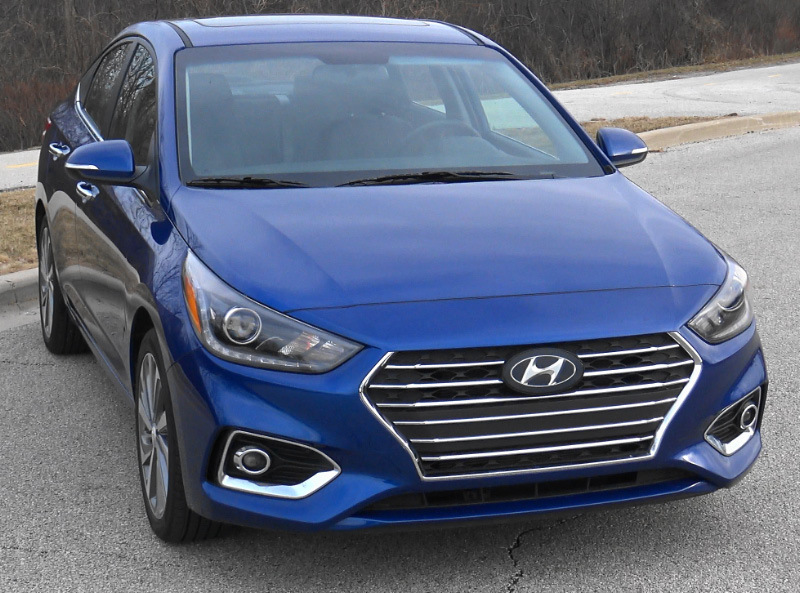 Our Video Road Test of the 2018 Hyundai Accent Limited is now available on Consumer Guide Automotive’s Daily Drive website. To check out our review, just click on the link above and take a ride with us. This entry was posted in Automotive and tagged Automobile, Automotive, Car and Driver, Car review, Cars, CG Daily Drive, cgdailydrive.com, collectible automobile, Consumer Guide, Consumer Guide Automotive, Hyundai, Hyundai Accent, Hyundai Accent Limited, Johnnie Putman, Life After Dark, Motor Trend, Motor Week, MotorWeek, Radio Road Test, Road and Track, Steve & Johnnie, Steve and Johnnie, Steve King, WGN, WGN AM, WGN Radio. Bookmark the permalink.